Please note that the content of this book primarily consists of articles available from Wikipedia or other free sources online. 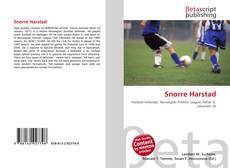 Snorre Harstad (born 24 January 1971) is a retired Norwegian football defender. 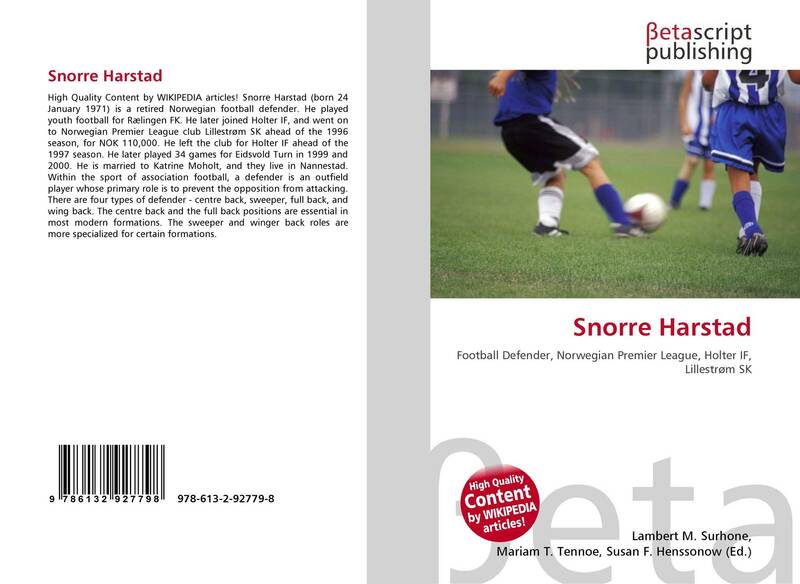 He played youth football for Rælingen FK. He later joined Holter IF, and went on to Norwegian Premier League club Lillestrøm SK ahead of the 1996 season, for NOK 110,000. He left the club for Holter IF ahead of the 1997 season. He later played 34 games for Eidsvold Turn in 1999 and 2000. He is married to Katrine Moholt, and they live in Nannestad. Within the sport of association football, a defender is an outfield player whose primary role is to prevent the opposition from attacking. There are four types of defender - centre back, sweeper, full back, and wing back. The centre back and the full back positions are essential in most modern formations. The sweeper and winger back roles are more specialized for certain formations.